I am all geared up and getting ready for January classes! 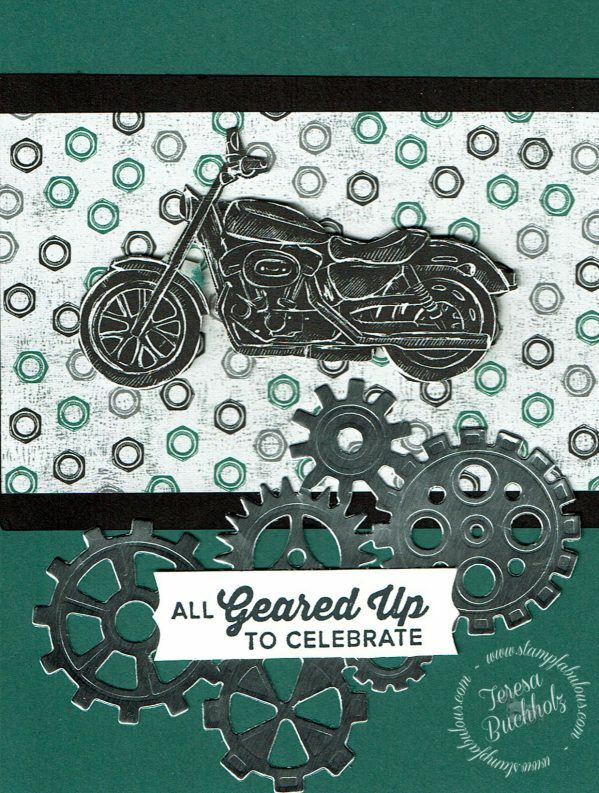 My first class will feature manly cards using the new All Geared Up Garage Bundle. Here are a 3 of the 4 cards! 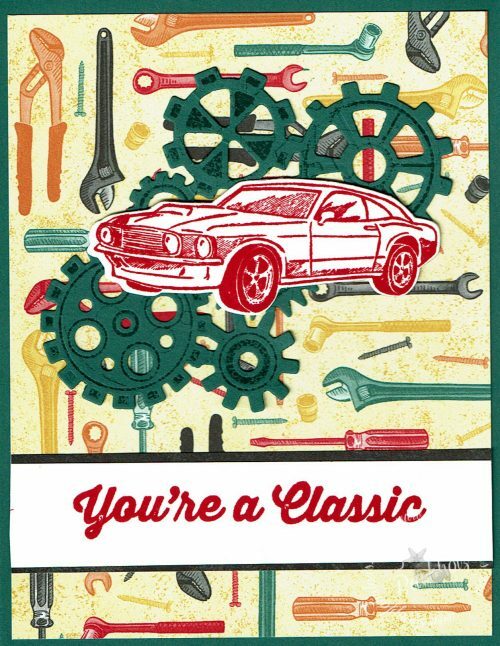 Now you can celebrate the men in your life with this classic suite! 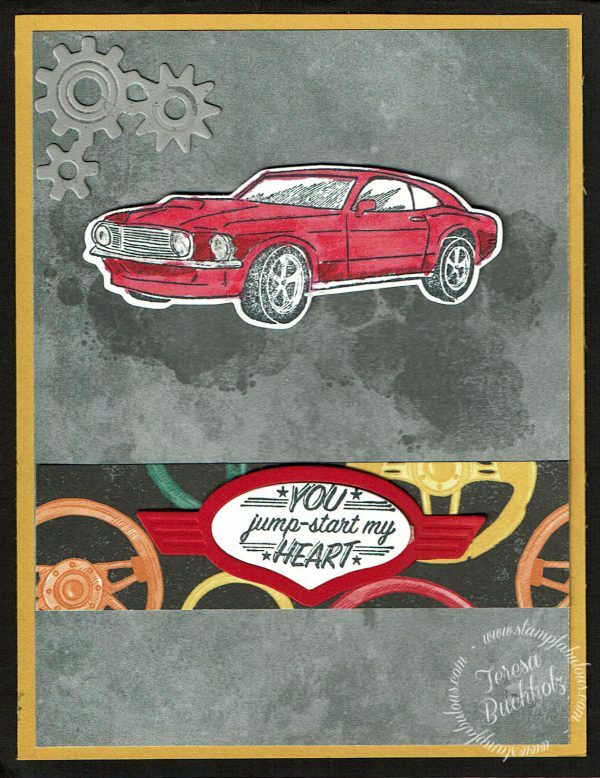 The stamp and framelits $48.50, add the 6×6 Classic Garage paper pack for $11.00 and you will qualify for a Free Item from the Sale-A-bration catalog! The class is January 5th at 1pm! Rsvp now!